FEATURES: Drives 2 modules or A-BUS/Direct speakers per zone (2nd power supply required to power modules 5 to 8). 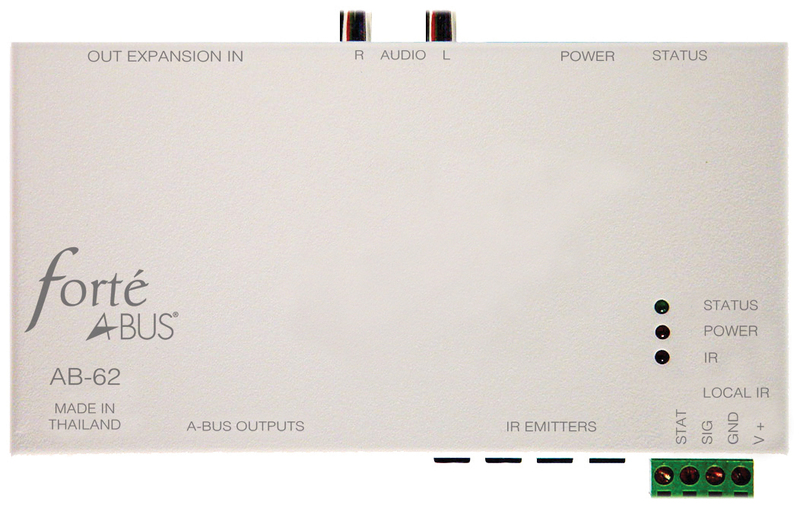 Fully buffered 4 x 2 A-BUS outputs, full remote control operation. Any of the four sources can be selected in each individual zone at the same time. 1 x common emitter output. 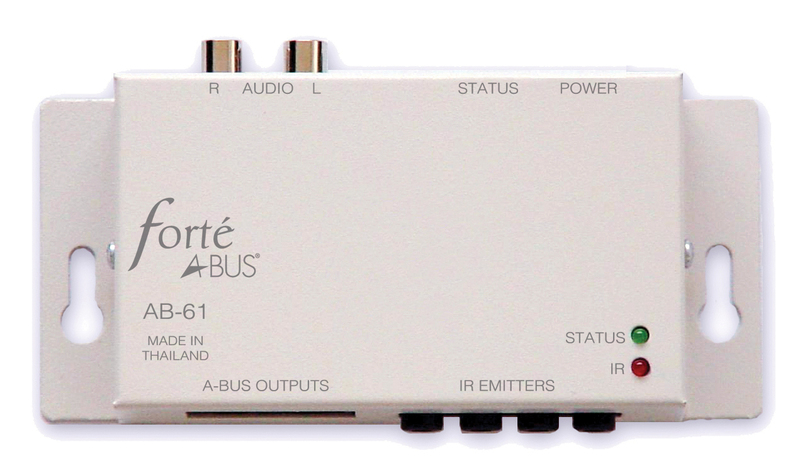 Buffered source outputs to additional ABX-88(s) or home theatre receiver. Individual input level adjustments for each source. EXPANSION: Multiple units can be combined for more zones. Compatible with AB-62 and ABK-4RJ expansion ports when more than two A-BUS modules are required in a zone. EXPANSION: Multiple AB-62s can be used if more than four rooms are required. Can be used to expand the zone outputs of the ABX-88 multi-zone controller. 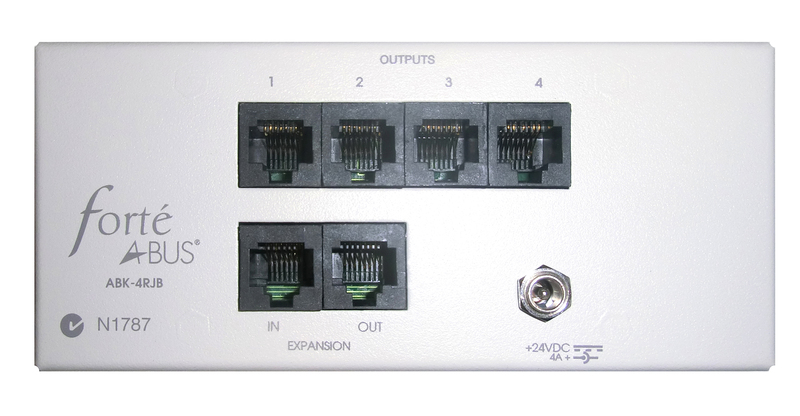 Compatible with Allegro expansion ports. 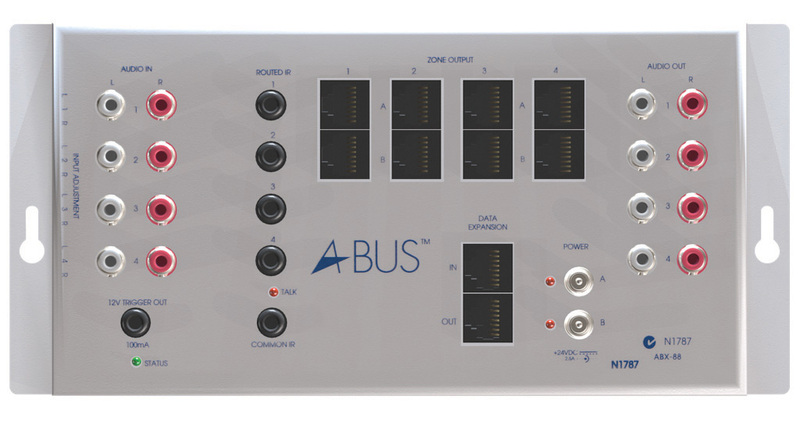 Boxed version of the ABK-4RJ to expand the output of an A-BUS/READY amplifier or AB-62 single-source interface to 4 additional zones. Includes expansion ports. Multiple hubs may be used. EXPANSION: Multiple ABK-4RJ can be used if more than four modules are required. Can be used to expand the zone outputs of the ABX-88 multi-zone controller. Compatible with AB-62 expansion ports.